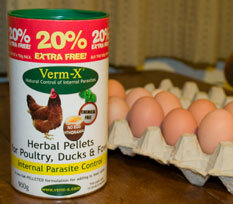 Is this Verm – X vital for chickens. 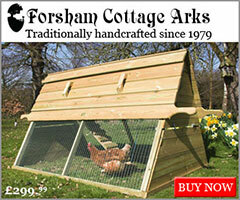 I am trying to keep chickens as cheaply as possible just of course want them to be healthy. I am sure i will use the worming thingy but do i really need this as well? No, not at all. Worm twice a year with Flubenvet and you shouldn’t have any problems. If you see any sign of worms or they stop laying for no reason, I would use Flubenvet. Let us know how you get on! 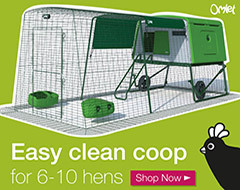 I have rescued 3 chickens and have only had them 3 weeks I am currently using verm x on day 2 as I have had loose stools for a few days now and also had been keeping one chuck segregated as she is having a broody stage and noticed a worm in her stool. This she has obviously obtained before I rescued her as she is also incredibly thin so am keeping her apart and monitering what she eats. How long do you recommend I use verm x for? The bottle says for 3 days but can also be used for twice that long safely, but I noticed someone is using it for longer on here. I would use Flubenvet – this has no withdrawal at the stated dose. I have just started keeping 3 chickens just over 3 weeks ago. At present they are being fed on Range Layer Pellets with Verm X included. If I chose to continue to feed this food, do I need to also use Flubenvet every 6 months. Personally I use Flubenvet as well. There is a lot of concern within the poultry keeping community as to whether Verm-X is completely effective. Hello, here in Canada you can not get flubenvet so I’ve look at every thing I could get and bought some swine wormer with fenbendazole, a 10 lb pale and used that stuff to worm my birds as they had gape worms x4 which is a powder form. Within two days the birds where well on their way to feeling healthy. Yesterday was day three, what a diffrentce in the birds. I had also used avitrol plus, it works but the worms get used to it then you have to almost over dose them to get it to work. So for me it’s swine wormer with fenbendazole for my birds and this stuff works! 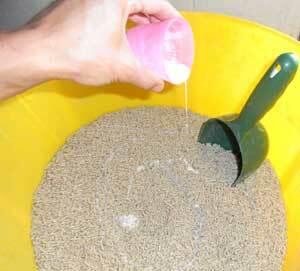 Can I use diatomaceous feed grade insetting of Verm-X? They are two different products and without knowing exactly how effective each one is, I would be cautious. Hi I’m trying to find the best wormer for my chickens I have about 60 and I need a wormer to kill all the 6 common worms in a chicken. What should I use? I don’t know which country you are in, wormers vary from place to place – here in the UK, I would recommend Flubenvet. This contains Flubenezole. 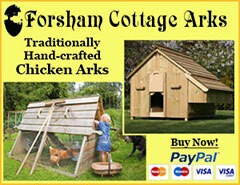 We have Silkies and Padou chickens so they are quite small. Am I correct in thinking that if we use Verm-X, we have to use it every day? I can’t remember what it says now – but check the packet. I use mine every week or two when I remember. I have a broody hen sitting eggs I think she has worms. Can I worm her? Yes, although she probably isn’t eating so well at the moment so you may need to do it again once she’s off the nest. You can hang a feeder up high where the chicks can’t reach if you do. Technically it’s not a wormer, Flubenvet is the licensed wormer for Turkeys. 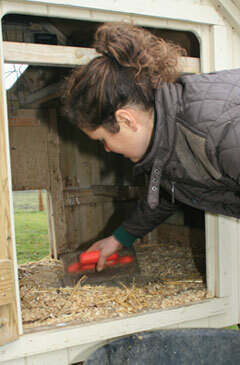 If you are only using Verm-X, I would also use a worm count kit to check for worms every so often.